This week on Agencies Drinking Beer, Kyle and Kevin interview Karl Sakas who runs Agency Firebox based in Raleigh, North Carolina. He explains the key qualities to look for in project managers, account managers and strategists, and why all three roles need to be kept distinct and separate from one another. Back when I ran a web design agency, I always considered 'project managers' and 'account managers' interchangeable terms. They were the people who kept projects running on time and on budget, and communicated questions, direction and changes to clients and feedback to the production team. 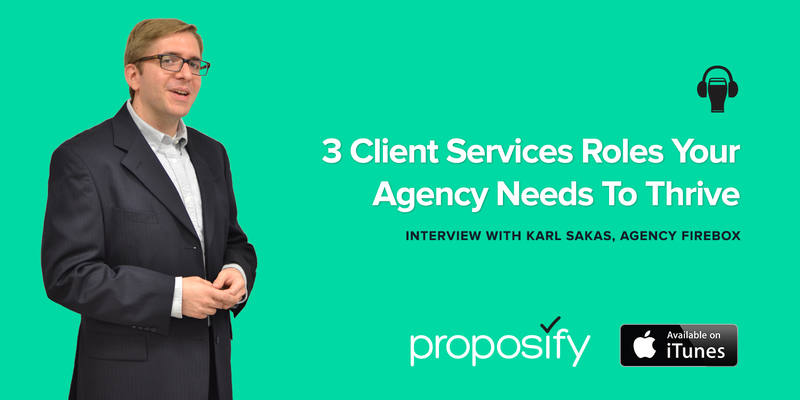 According to Karl Sakas, who runs Agency Firebox, there are three distinct client services roles that agencies need in order to operate most efficiently and retain clients long term. Karl offers coaching and consulting services that help agency owners scale their businesses. Kevin and I sat down with Karl to discuss the roles of client services, how to make the best use of them in your agency, and what to look for in people you employ for these roles. Project managers should be the most detail oriented of the three client service roles you hire. The primary job of your PM is to keep projects on schedule and on budget. If projects go off the rails and lose the agency money, it's your PM who is directly responsible for this failure. PM's need to understand that this is their ultimate responsibility and act accordingly. It may mean they need to crack the whip from time-to-time if deadlines aren't being met or too much time is being spent that wasn't budgeted for. PM's also need to understand copywriting, design and development well enough that they can look back at past projects of a similar size and scope, and estimate new projects without needing to bother the production staff for a quote. The project manager should work closely with the account manager to keep him/her up-to-date on where the team is at in the project, what they need to move ahead, and inform the AM of any potential roadblocks or budget concerns that could slow things down. An account manager's primary role is to retain and nurture new and existing client relationships. They are the main point of contact for clients during projects, and the AM's job is to keep the client happy and identify upsell opportunities. They should understand what the agency does at a high level and be able to talk the talk, but they do not need to be as detail oriented as the PM or the production team. Out of all the client service roles, AM's should have the highest degree of warmth, enthusiasm and the ability to communicate in a way that the client understands and responds to positively. The client strategist is the person who, as the name implies, sets the strategy for the project. They should be experts in the client's business, and in at least one other area, such as SEO, content marketing, analytics, creative direction, or whatever it is the client is coming to the agency for. They would write the briefs and other strategy documentation and lead the strategy meetings with the client and with the team. Their primary focus is neither on timelines, budget, or client satisfaction. Their job is to solve the client's business problems and generate results. Can you hire a 'hybrid'? Project managers need the agency to be profitable and for project to not go over budget. That sometimes means a strategist will recommend implementing a strategy that will be great for the clients' business, but difficult to convince the decision makers of for a variety of reasons. Sometimes account managers will want to give away some free work to the client to help nurture the relationship, which requires the agency takes a loss in profitability, which makes the project manager look bad and disrupts the production schedule. Hiring one person to fulfill all these roles essentially requires hiring someone with split personalities. All of these scenarios sometimes require intense discussion among the client services team, and compromise on all sides. Accept that there is a natural tension between all of these roles, but ultimately the good kind of tension. The kind that ensures clients are happy and the agency is profitable. 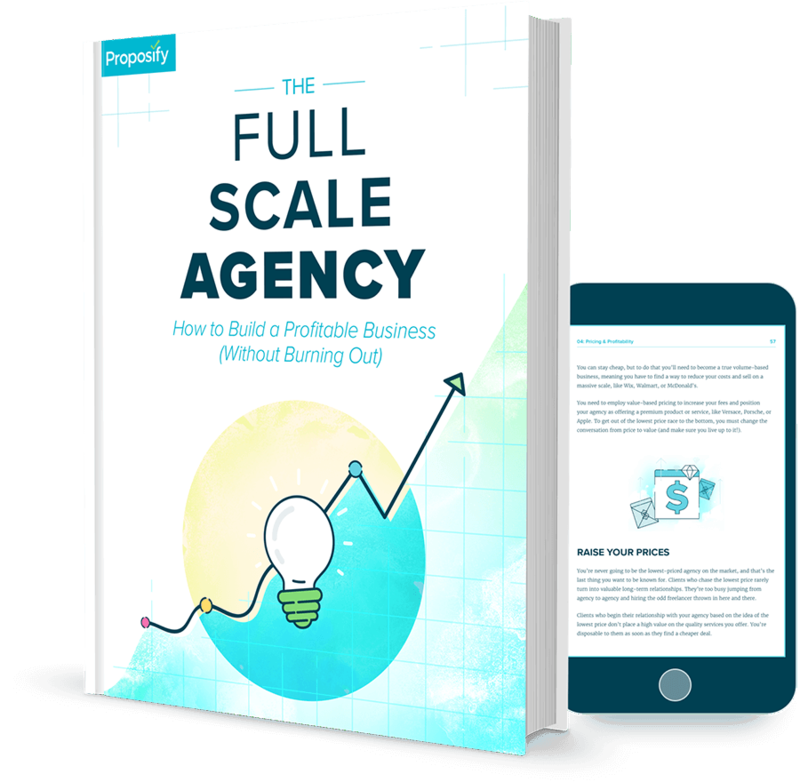 Will this make your agency bogged down in process? Some will have the valid concern that with so many layers of people it will make your agency process intensive, and lack the nimbleness of being a small shop. While that may be true, Karl arguest that it is required in order to run effectively as your agency grows. If you're a two person shop, no problem. Keep the designer managing projects. But once you get around ten people, you're going to need more process to ensure things don't start slipping through the cracks. Speaking from personal experience, I can see where having a separate account manager and project manager would have been beneficial. It can be very difficult keeping clients happy and the agency profitable, so having two people manage each task would have really helped. In The Human Brand: How We Relate to People, Products, and Companies by Chris Malone and Susan T. Fiske, they discuss the idea the when people are buying from companies, they ideally want both warmth and competence. Some agencies have one but not the other. They might be really high on warmth, being friendly to work with and making the client feel great, but not competent — missing deadlines, designing ineffective solutions or making technical blunders. Other agencies may be highly proficient and effective, but they could embarrass the client in meetings by making them feel inferior or undermining their authority — low on warmth. It's hard to find someone who is 100% awesome at both warmth and competence. The benefit of breaking out client services into three distinct roles — project management, account management and client strategy — is that you get people who excel on both sides of the spectrum. Did you like this episode of Agencies Drinking Beer? Then please leave a comment below, and rate/review our podcast on iTunes. Want to be featured as a guest on the show? Know another agency owner who would make for a great interview? Please reach out and let us know. Have a question you want us to answer? Record your question, email us the mp3 file and we'll answer it on the show.